The beauty of Thai Cuisine is the freshness and fabulous array of flavour. It is naturally healthy making any event individual and memorable. Any size or style of event can be catered for. From a formal sit down meal for 10 to a Hot Buffet for 250 people. Using all our own equipment, providing staff and tableware hire if required, we will make the catering aspect effortless leaving the host to enjoy the party. Budget savvy. We are able to produce a menu dependant on your budget yet always with the highest quality of food. 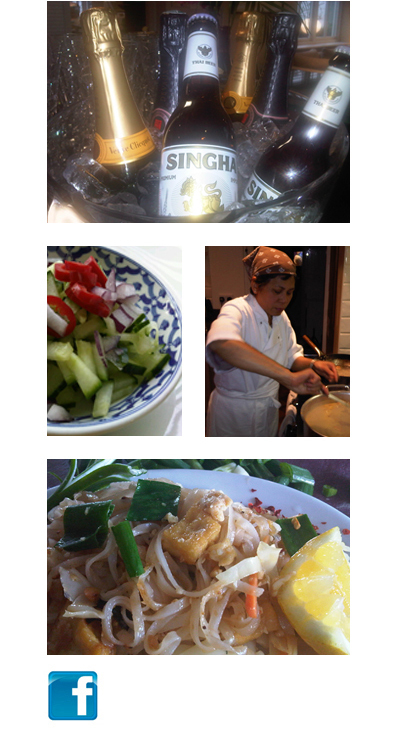 LoveThai are able to operate from any location, with or without a working kitchen. All dietary requirements can be catered for as well as individual tastes to ensure both young and old enjoy the experience. You will be pleasantly surprised with our attention to detail and competitive prices. Love Thai Catering will give your event that extra dimension. Our Corporate Entertainment Service takes us one step beyond simple outside catering. We can cook in any location. Marques, Gardens, Offices, Halls, in fact any location you may care to mention. Our hands on Cooking Classes are a great idea for Team Building or as a social opportunity for Company Staff Etc. We welcome your enquiry and look forward to tailoring our service. Sample menus on request to suit your particular requirements.